let it blo this holiday season at Blo Blow Dry Bar! This holiday season we’re making spirits bright with three new styles! Earlier this year, Blo Blow Dry Bar began #thesearchforshe, an Awards program voted by the blo community to find the face of our holiday style menu. 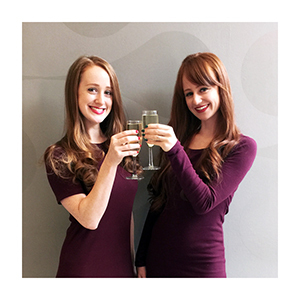 Adrienne and Stephanie Vendetti, the tastemakers behind How to be a Redhead, were crowned the Blo Beauty Blo-gger of the Year and have been eagerly waiting to show you the hair menu designed in their likeness. And now the illustrations are complete, the menu is set, and we’re ready to blo! Show off your flawless ‘do’s this holiday season and don’t forget to tag us on Instagram! Book your appointments online or call your local blo directly.